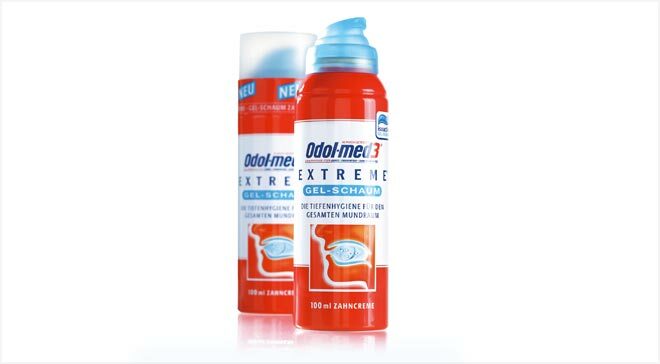 For their oral hygiene brand Odol GlaxoSmithKline wanted an innovative design for the newly developed soft-white active foaming gel. 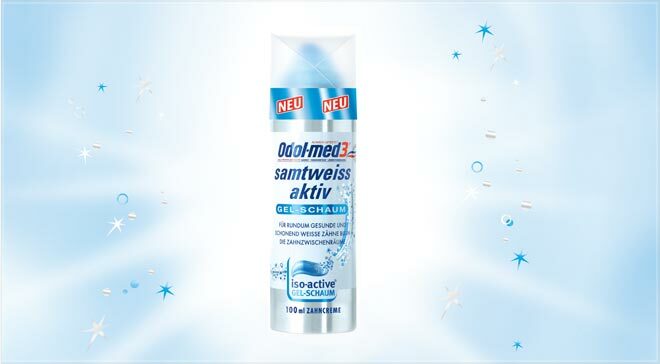 With experience relaunching Odol-med3® Extreme® and Odol-med3® white&shine®, KhDesign was also commissioned to create an innovative packaging as well as the supporting advertising and POS materials. 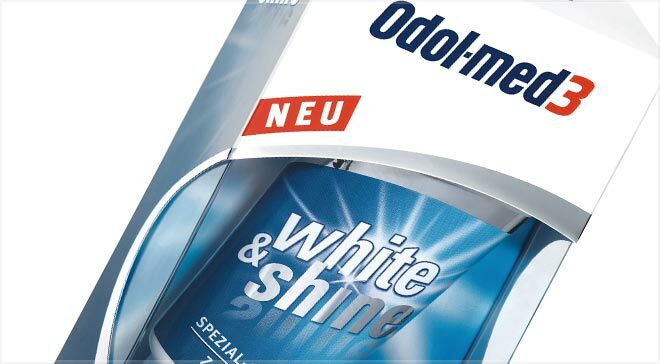 The exclusive, modern design in silver, white and blue communicates the gentle tooth- whitening effect, and fits perfectly with the existing Odel-med3® range.